We took this tour two years ago and enjoyed it quite a bit (here). As we did with the Yuletide Fantasy Tour (here), we’re going to stick with new stuff. Two of our guides were also our guides in 2010… Mark & Jeff. So, as it turned out, we had Mark, Jeff, and Monica as tour guides 2012. For this tour, Mark and Jeff were joined by Carmen (she was helping out and would be leading the tour the next evening). 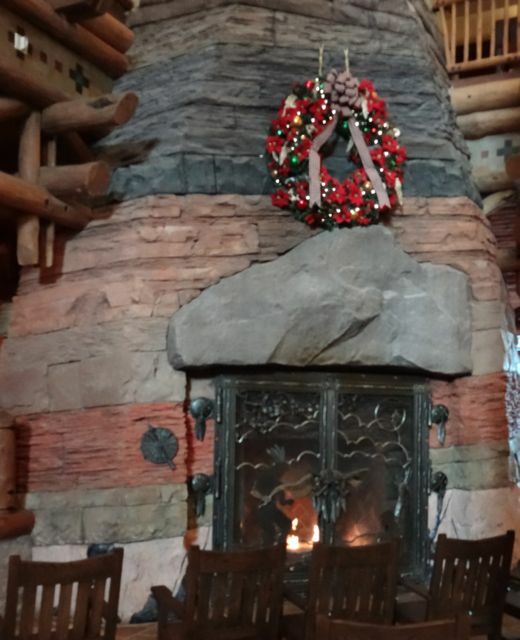 This was the second tour of the holiday season. They started a week later than usual because of the Christmas Parade filming (usually starts on the Monday after Thanksgiving). Our motorcoach host was Dwayne, without him none of this tour would be possible. There were 34 guests on our tour (someone never showed up); we had one ECV, one wheelchair, and one “slow walker”. Now we’re personally familiar with all of these, the limitations for the person, for the friends/family, and for those who just happen to be around. 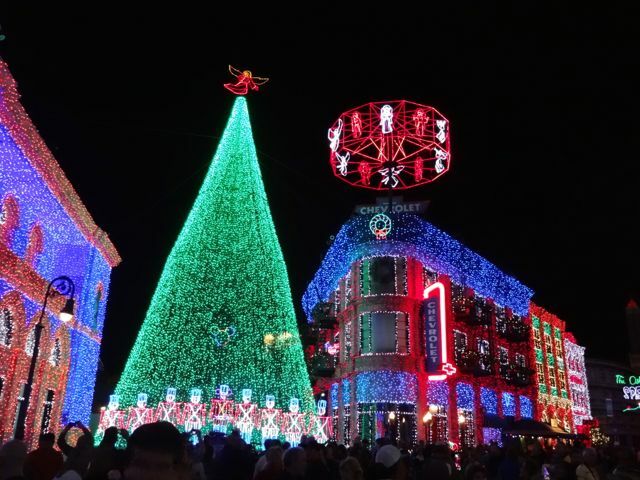 The biggest limitation on a tour like Holiday D-Lights… timing timing timing! Disney, please, we’re begging you, make it very clear that this tour involves being onstage in large crowds in the dark AND that this tour is fast moving (on the bus, walk around, off the bus, repeat). This year, we didn’t feel short changed by the mobility impaired people (unlike 2 years ago), but it was still a bit concerning. When we were getting on the bus, Carmen was strongly suggesting that the frail slow walker use a wheelchair at each of the three theme parks. So, why are we here tonight? 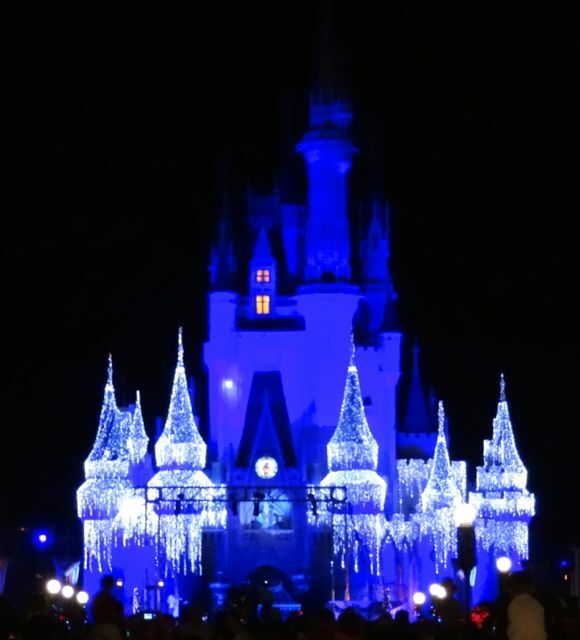 Because Dec Support lights up Cinderella Castle! 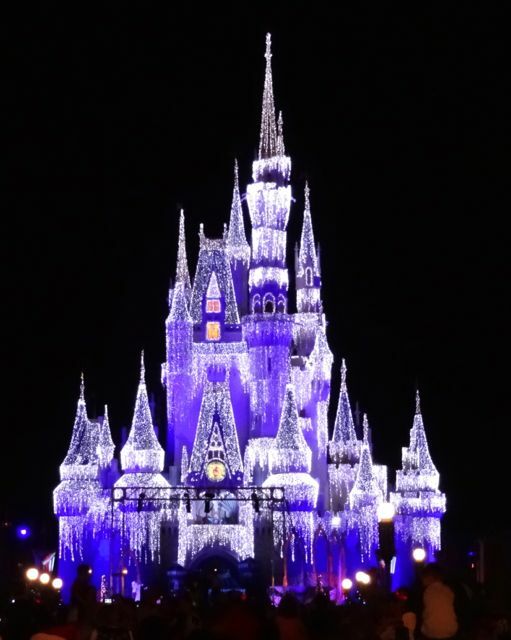 About seven years ago, the idea came about to put lights on Cinderella Castle… So how does that happen? We left Event & Dec Support and loaded the bus for Magic Kingdom at 6:00. On our way at 6:05. We arrived at Magic Kingdom backstage pretty quickly, unlike two years ago, we entered from a more central door half way down Main Street (we didn’t realize there’s a backstage cast entrance that opens into the “artists alley”). 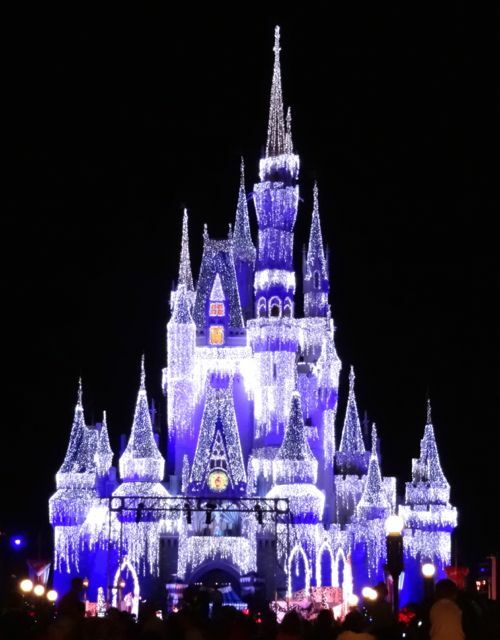 The guests were split up into “Mark’s charges” and “Jeff’s charges” – we were in Mark’s group, it was so much easier to move and get to a good viewing spot for the Castle Lighting. The story behind the Cinderella Castle Dream Lights – Francois La Roux was a new CM (a highly placed CM to be sure) at Disneyland Paris. His first Christmas, he was amazed at the level of detail of the holiday trimmings at Disneyland Paris, but noticed that the Castle was bare (this is also where we get the story for the little show before the Castle is lit each nigh, where the characters try to come up with an idea for how to decorate the Castle for Cinderella). The next Christmas, the Sleeping Beauty Castle at Disneyland Paris was all decorated with lights! Disney Execs were so pleased that they brought Francois to Florida, pointed at the Cinderella Castle and said … “do this one next” … in time, he would repeat the feat at each of six theme parks (Cinderella Castles at WDW, Tokyo, and Shanghai (when it opens) and Sleeping Beauty Castles at Paris, Hong Kong, and Disneyland). We left Magic Kingdom at 6:34 and headed to Disney’s Hollywood Studios. 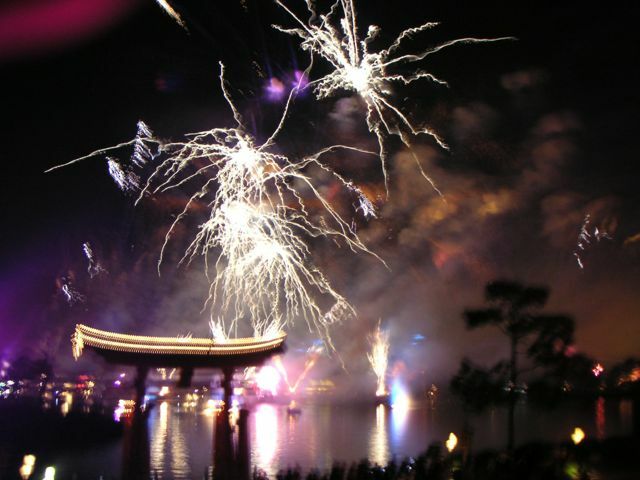 When we got back on the bus, Mark told us about the first year of the Cinderella Castle Dream Lights (2007). 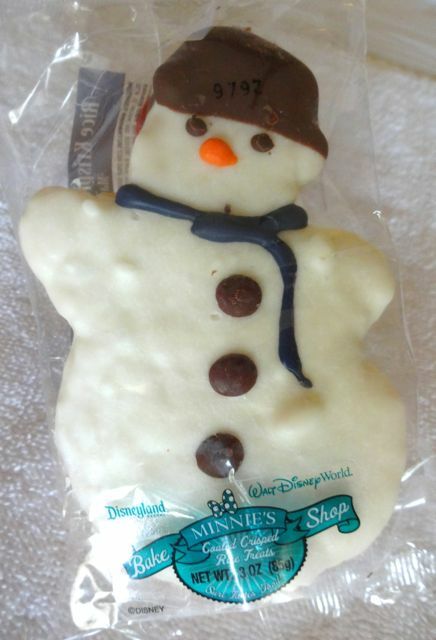 It wasn’t like a usual WDW new event, it was a totally organic surprise, no press event, no big announcement, no billboards. 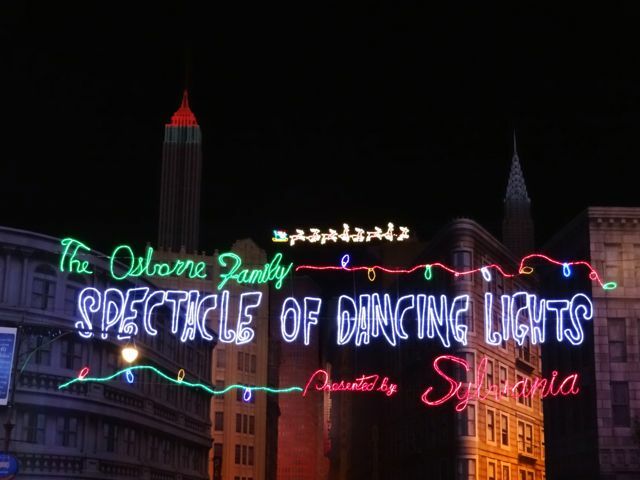 There had been a lot of rehearsals going on backstage, but of course there had to be a live dress rehearsal onstage – Disney was very careful to make sure that none of the performers had cameras or other recording devices. 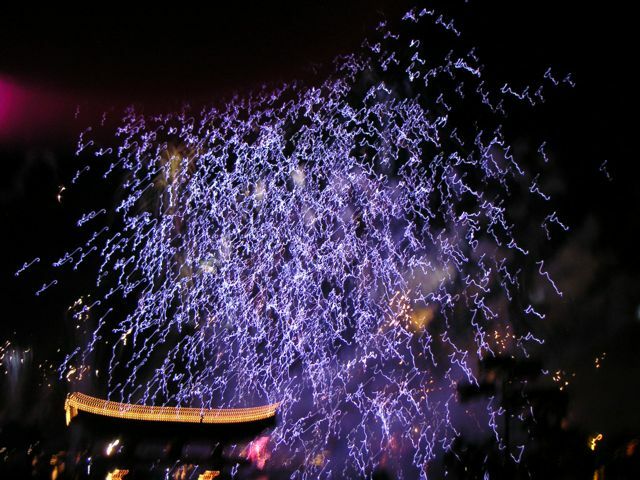 So, the dress rehearsal was taking place, and it came time for the Castle to be lit – the performers just stopped they were so shocked and amazed (of course, the soundtrack kept playing while they’re all standing around staring up at the Castle). But Disney had forgotten something… they didn’t ensure that the custodial staff didn’t have recording devices – it went viral on the internet pretty quickly. 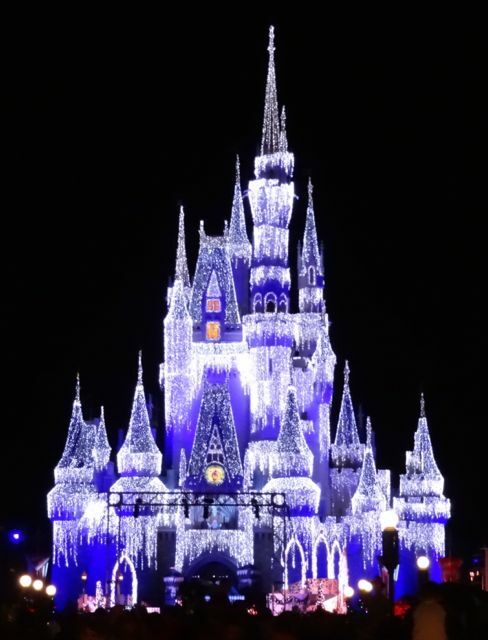 Oh yes, the very first night that the Cinderella Castle was lit for the general public… November 12, 2007. 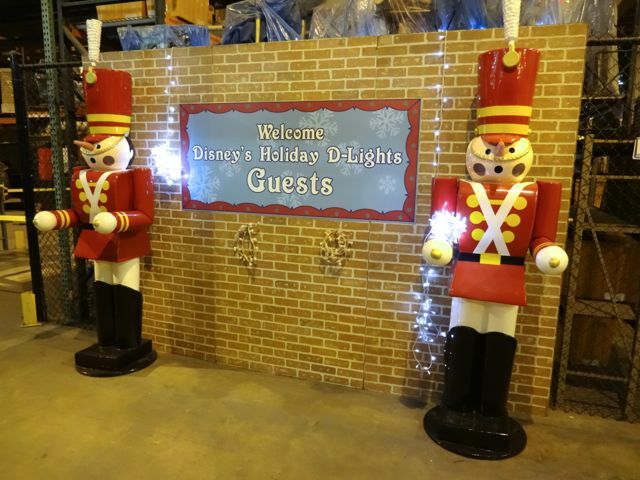 We arrived backstage at Disney’s Hollywood Studios at 6:55 – we spent a little time backstage getting organized, looking at and touching some of the extra “forms” for the Osborne Spectacle of Dancing Lights (ex: the razorback hog). 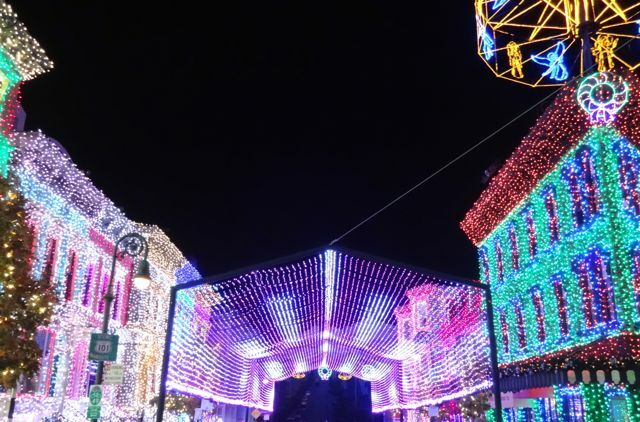 We’re going to just share some photos of the lights, the story of how they came to have their home at Hollywood Studios is a well-known one by now (and you can check it out in our 2010 post). Way back during the Great Depression, Walt didn’t want any of the children of his employees to go without a gift at Christmas, so he arranged for some of his staff to “play Santa”… each child under the age of 13 got a gift and children over 13 got a card signed by Walt (wow! what those would be worth now). In the 1940’s some Marine Reservists had the same idea, all children should have at least one toy at Christmas… Major Bill Hendricks was working at Walt Disney Studios and asked Walt to help out with designing the logo… of course Walt did. 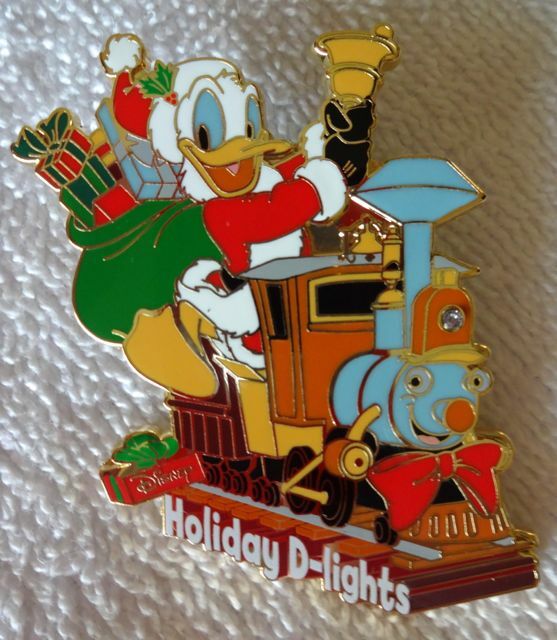 As the years passed, donations dropped off and by 1964 the Toys for Tots organization asked Walt to do a 30 second spot asking for donations and promoting Toys for Tots, Walt also redesigned the logo to be the Casey Junior Train from Dumbo ridden by Santa Donald (note: that was Walt’s last Christmas). We arrived at Epcot, backstage behind the American Pavilion, we waited for everyone else to get their Candlelight Processional badges (reserved seating with the Candlelight Processional Dining Package guests) and asked Jeff & Carmen if we could have the pins and let them know that we were going to be leaving [well, we had plans to do the D23 Magic & Merriment Event – that included CP again (and it isn’t a favorite for us) and a dessert party for the Illuminations]. 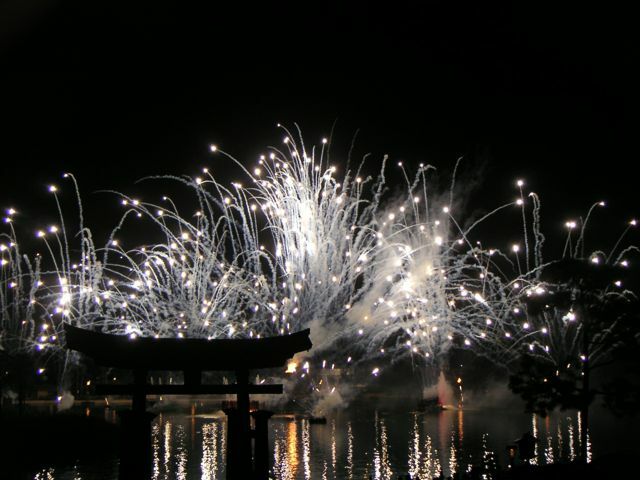 For your continued holiday enjoyment, here are some photos of the Illuminations fireworks! 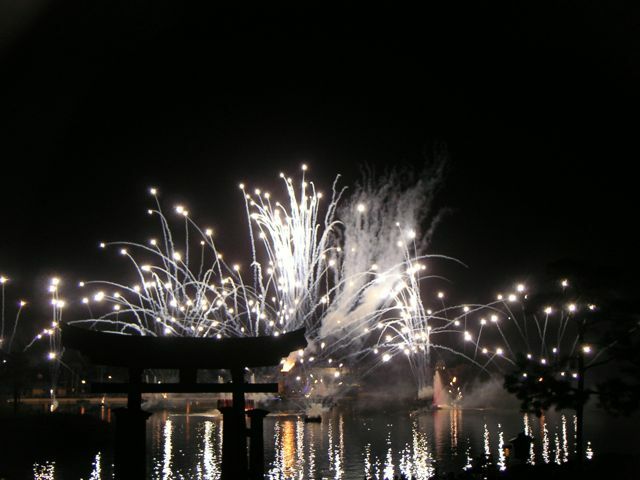 When Neil Patrick Harris was here doing Candlelight Processional, the standby line wrapped all the way around to China! The big Mickey head on the side of the Contemporary facing Bay Lake Towers is the biggest Mickey on property, the main circle is 25 feet in diameter and the two ear ellipses are 18 feet in diameter (by the way, the Cirque d’Soleil wreath is 30 feet in diameter, but it’s only a wreath & the ears make the Contemporary’s the biggest). When Shanghai Disneyland opens, their Cinderella Castle will be bigger than the one at Walt Disney World (at present, our Castle is the biggest. 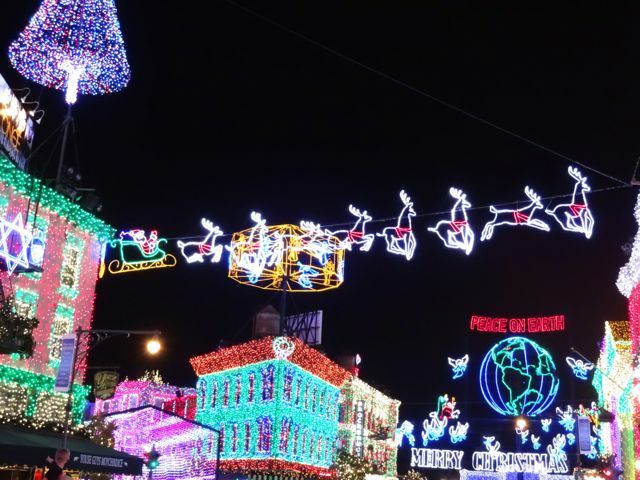 The tour was much more focused this year than 2 years ago… It was all about LIGHTS! 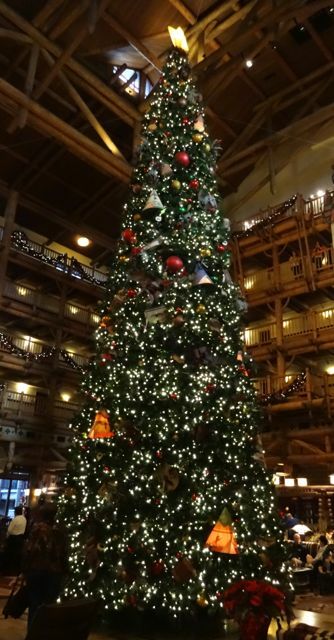 There were lots of facts and data and stories – definitely appealing to a Disney (and particularly Holiday Disney) geeks.